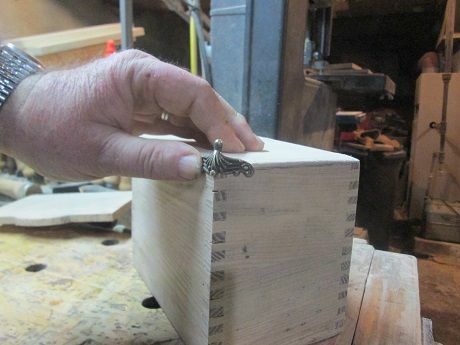 Was finally able to get some shop time Sunday….first part was before Lunch…Box was removed from the forest of clamps….long fingers were sanded down flush….and a few high spots were also lowered a bit….right before Lunch..
Glued had cured enough, I could take the box and plane the sides a bit..
had to use a spokeshave to clean up the bandsaw marks/burns…One of the packs of hardware was a latch I thought I could use…..
Tools…that is the small Phillips screwdriver I have, and the smallest bit for the North Bros. Yankee drill…you can also see how the new face of the plywood bottom came out..the screws used were a bit on the small side.. 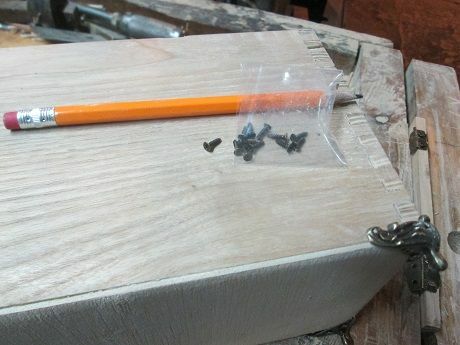 I actually snapped 2 of those screws off! 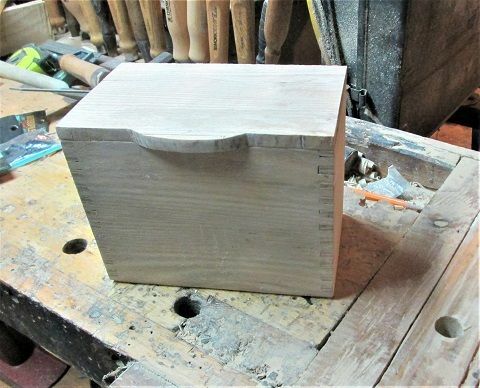 THEN I remembered to WAX the threads going into the Ash…came time to install the lid to the case….them feet made clamping the mess into the vise a bit of a challenge..we have ways..
2 of the brand new H-F clamps to act as helping hands. 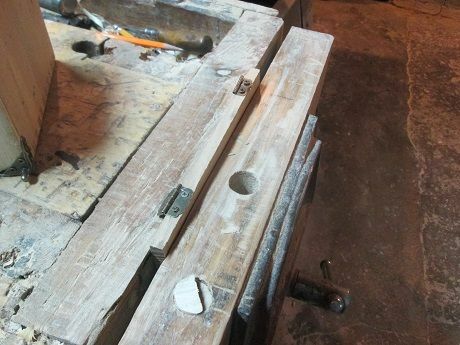 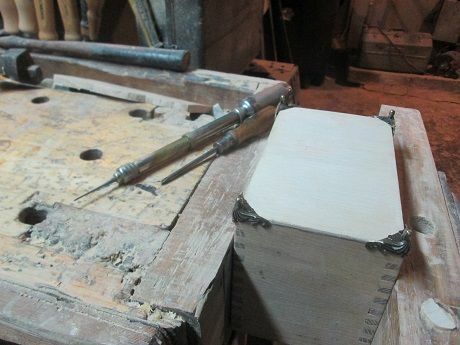 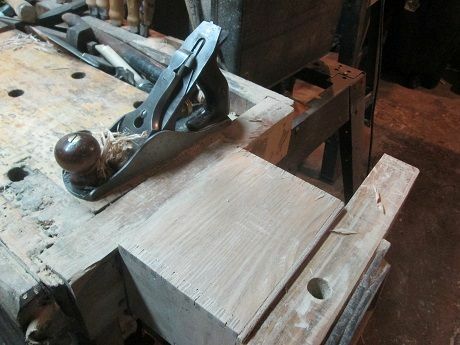 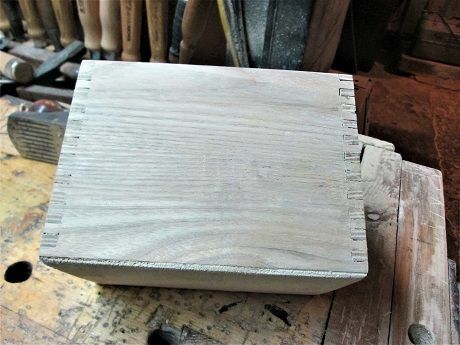 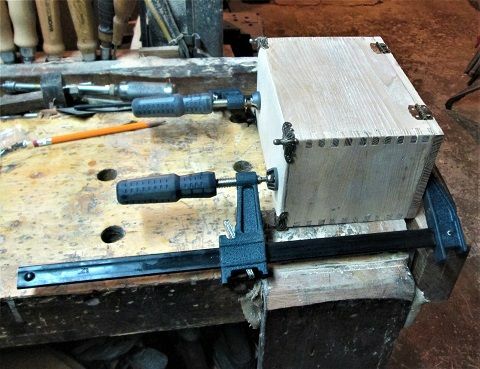 The finger grip on the from of the lid is clamped in the vise, so the lid is held at the correct height….I cut the head off a small nail, chucked that into a drill, and made pilot holes….the Yankee widened the start of each hole a bit, to help fat fingers start each screw…. 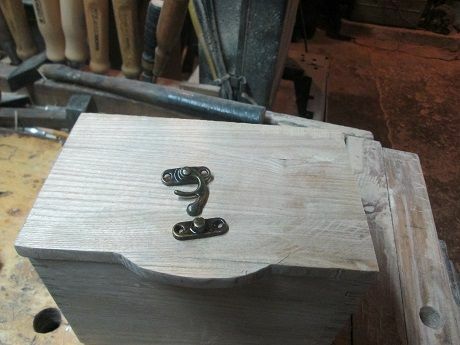 Fancy hinges. 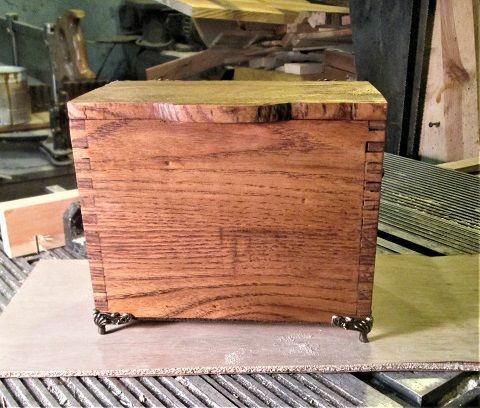 Tried to show off the best grain patterns.. 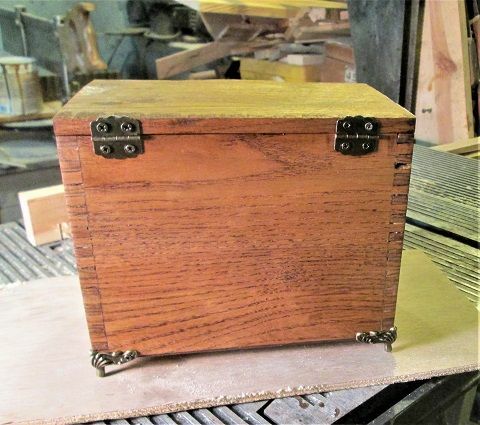 Waiting a while for a coat of Poly Gloss…until after Box #2 is done…may change a few things on #2…..
As some of Box #2’s parts were a bit too fat….slimmed those back to 3/8” thick.. 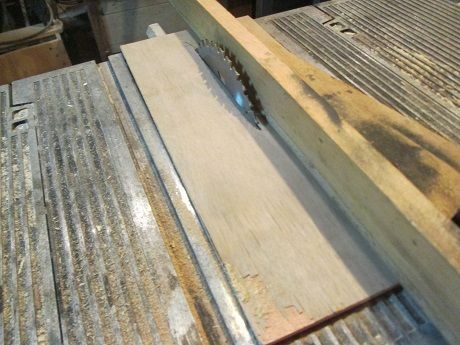 Fence clamps down onto the plywood….otherwise, there is a 1/2” wide gap between the blade and the normal OEM insert…not safe. 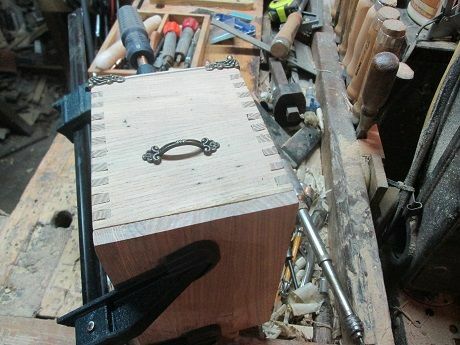 This being a Monday, shop is closed…maybe tomorrow I can start up Box #2? 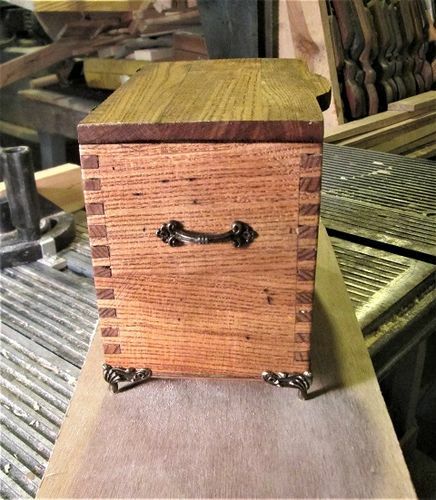 recipe boxes?